Style　Transportation. -Be Kind to Our Nature! Recently, the volume of cars in Hawaii increase to the large extent. Rental cars are sometimes good, but it costs and also make some pollution. We will introduce the ecological movement while enjoying vacation rentals trip. This is our public transportation system. Honolulu county introduces some electric bus too. The bas fare increased in the past years, but it is is still considered cheap. There are many routes, so you can go anywhere in Oahu. There is an app called "Da Bus". You can check the time and the destination immediately. Please be aware of the use of the Bus during the night and also to the unknown destination. Use this like the taxi or rent a car. There is no problem even if you can not speak English. App does everything. To call the car, to calculate the estimate cost, to check the reviews of the drivers and to pay. The price is about half of the taxi. The drivers work whenever they want to and users pay less. This is like Airbnb, the future of the sharing economy. You just install the app in your smartphone with the credit card info. Check the review of the driver before you decide whose car you take. 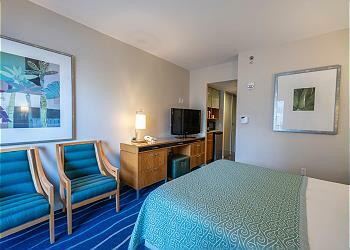 It is available 24 hours in most areas such as Waikiki, Ala Moana, Kakaako, Downtown and the airport. The sharing bicycle system called Biki is all over Waikiki. Now it extends the service area into Kakaako, downtown, and around the diamond head area. There are more than 100 stations in Waikiki alone. Feel the town by riding bicycle. Save the money, time, and CO2! Use app to find the station, bikes and pay. It started the services to the tourists in the beginning, but now Biki is used for the commuters and students. Please be aware of the traffic rules especially in the one way traffic and sidewalk ride in Waikiki. This is a new car sharing service - owners of cars rent their car to the anyone by app. Choose the pick up places and time and get the estimate through the app. Please use this by your responsibility. The cost for this is very low and people can share one car with many. This also saves CO2. There is the certain insurance for this service. Same kinds of eco-friendly and cost saving service are now expanding to Japan and all over the world. Experience this in Hawaii. Style　Enjoy Foods. -Be Kind to Our Nature! Why not try foods in your unit!! Hawaii has lots of organic supermarkets. Refresh your body with Hawaiian organic ingredients! Enjoy Hawaiian cuisine cooked by you in Lana! Famous U.S. organic supermarket. The price might be a bit high, but there are plenty of kinds. Power food and souvenirs are also plenty. As Amazon recently acquired Whole Foods, members of Amazon Prime can get some discount for some products. In Kakaako, a new Whole Foods is opend. The largest in the United States. Bring the eco bag and go shopping by Biki! Foodland Farms was newly opend in Ala Moana Shopping Center. Salad and Poke are super good! Homemade fresh juice has also good reputation! Most of Hawaii's popular restaurants now join with Uber Eats. When you get tired of cooking or shopping, just order foods by clicking app. Sometimes there is trouble where to pick up the delivery. So communicate well and enjoy the foods in your units!! The delivery fee is not that expensive, so you might not need to go out often. It is Soooo easy! Like Uber Eats, it is a delivery app that has affiliated quite a lot of restaurants. (260 stores as of February 2019) Try Smith & Kings's hamburgers and Phuket Thai's coconut curry in your room!! It is not fun to eat with everyone in a same restaurant listed in magazines. Now most popular restaurants uses Uber Eats and Bite Squad. So, please enjoy the style of free. Feel like being at home. It is an app that delivers foods, ingredients, and products in the supermarkets! Saveway, Costco, Foodland, Times and so on join this service. It takes within 1 hour at earliest to deliver. Just stay and kick back at our vacation rentals. Everything will be prepared for you by app. This service delivers the organic ingredients to your home. Since there is an instruction how to cook by those ingredients, you may prepare the best organic foods ever at your vacation rentals. You may learn how to cook and eat healty while you keep staying in the unit. You can also choose menus from the site. Today numbers of people choose to live healthy. We want to keep the lifestyle even during the trip. Life and technology has changed dramatically. Now we can live as we want. Do not limit your life in Hawaii. Use these service and be healthy. Also please think of the sustainable life in Hawaii. Our natural source is limited and will not last forever. Everyone has to think for our future and our children. Please stay in our vacation rentals and live LOHAS. Style Organic, Loocal Foods Restaurants. -Be Kind to Our Nature! Taste the best Acai ball, Loco Moko in this photogenic restaurant. Take pictures with the organic foods. Also check the smoothies produced by Angela Maki Vernon. All vivid color and enjoy aloha foods! This shop uses only the paper straws. Japanese Izakaya style restaurant in the historic building. One of the oldest building in Waikiki. Potato salad, udon are the best. It opens for lunch and dinner. Organic ingredients are used. And only paper straws are provided. Used the local foods. Chef Yuuya has stayed in Paris for long years and now comes back to Hawaii. Always serve 1 course at 5:30 or 8 pm. There is also the hideout bar. Hard to make a reservation, so plan early. Should come 1 in each trip.